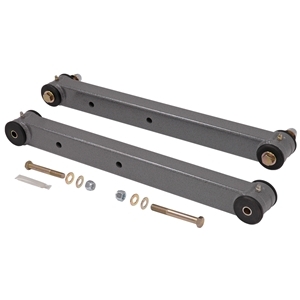 Our urethane-end lower control arms are made of 1-1/2" x 2" rectangular tubing to prevent flex. Complete with machined billet-housing with grease zerks and urethane bushings. These state-of-the-art components directly replace OEM arms. Mounting for the OEM sway bar is provided.